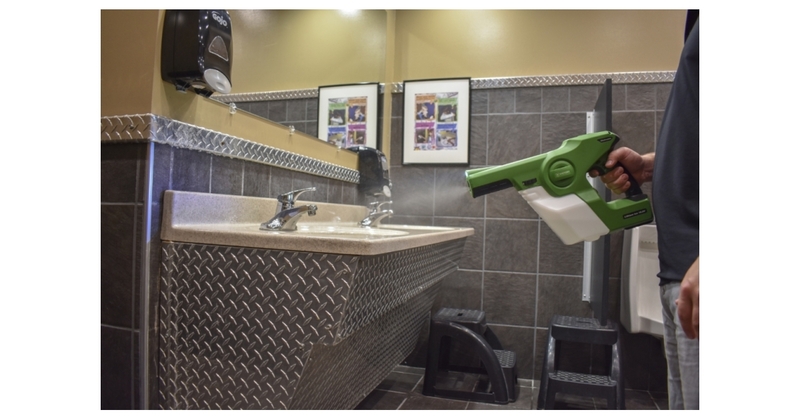 ST. LOUIS PARK, Minn.–(BUSINESS WIRE)–Victory Innovations, manufacturer of the world’s first and only cordless electrostatic handheld sprayer, today announced it is giving away $500,000 worth of its sprayers as a part of its “Keep Kids Healthy” initiative. The initiative was established to help public schools prevent the spread of flu and other viruses through access to better tools for their disinfection protocols. Every year, 38 million school days are lost due to influenza and 22 million are lost due to the common cold. The Victory Innovation sprayers feature electrostatic technology that provides an electrical charge to solutions, allowing them to wrap conductive surfaces with more efficacious and even coverage. There is no need for school personnel to touch or wipe surfaces, reducing the risk of cross-contamination. The sprayers will allow schools to apply disinfectant in classrooms, gyms and on buses without the hindrance of a power cord, additional cleaning tools or downtime for treatment to take effect. They also require 65 percent less disinfectant per square foot and can be applied 70 percent faster than traditional application methods, saving schools critical time and money. Victory Innovations produces the world’s first and only cordless electrostatic handheld sprayers, featuring patented pending technology that enables professionals to use fewer chemicals, spray faster and cover an area with more efficiency than traditional sprayers allow. Victory serves professionals responsible for maintaining healthy spaces with a focus on sanitization, decontamination, pest control and odor control. Learn more at www.victorycomplete.com.